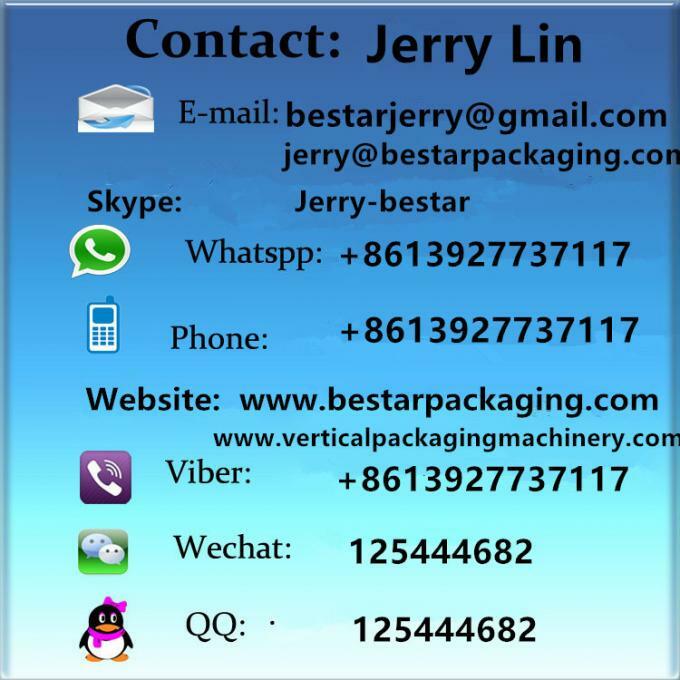 BESTAR VERTICAL PACKAGING MACHINE is a comprehensive packer manufacturing company , including six brands, have 8000 square meters factory with the strong sales team , research team , development team and service team. 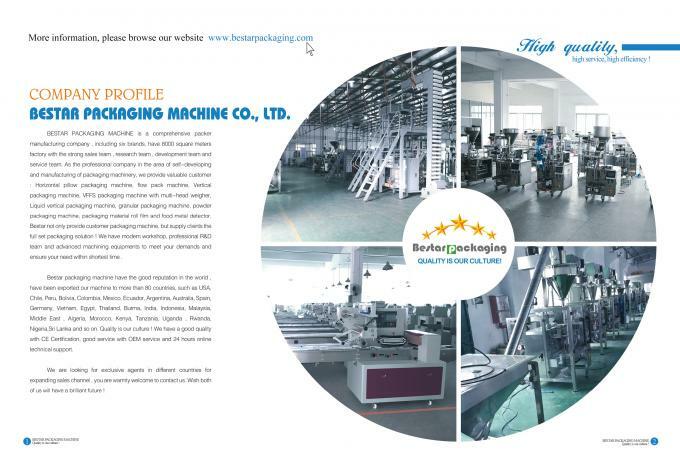 As the professional company in the area of self-developing and manufacturing of packaging machinery, we provide valuable customer : Vertical packaging machine ,vertical packaging machinery,Horizontal pillow packaging machine, flow pack machine, Vertical packing machine, VFFS packaging machine with multi-head weigher, Liquid vertical packaging machine, granular vertical packaging machine, powder vertical packaging machine, vertical form-fill-seal filling machine, packaging material roll film and food metal detector. 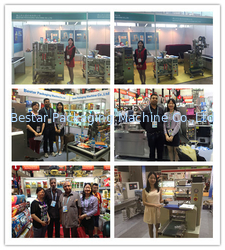 Bestar not only provide customer packaging machine, but supply clients the full set packaging solution ! We have modern workshop, professional R&D team and advanced machining equipments to meet your demands and ensure your need within shortest time . 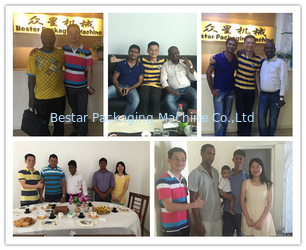 Bestar packaging machine have the good reputation in the world , have been exported our machine to more than 80 countries, such as USA, Chile, Peru, Bolivia, Colombia, Mexico, Ecuador, Argentina, Australia, Spain, Germany, Vietnam, Egypt, Thailand, Burma, India, Indonesia, Malaysia, Middle East , Algeria, Morocco, Kenya, Tanzania, Uganda , Rwanda, Nigeria,Sri Lanka and so on. Quality is our culture ! 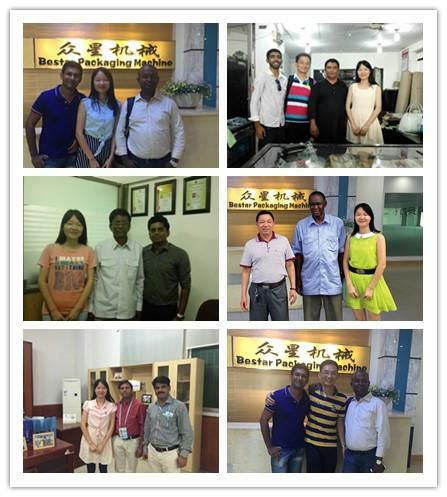 We have a good quality with CE Certification, good service with OEM service and 24 hours online technical support. 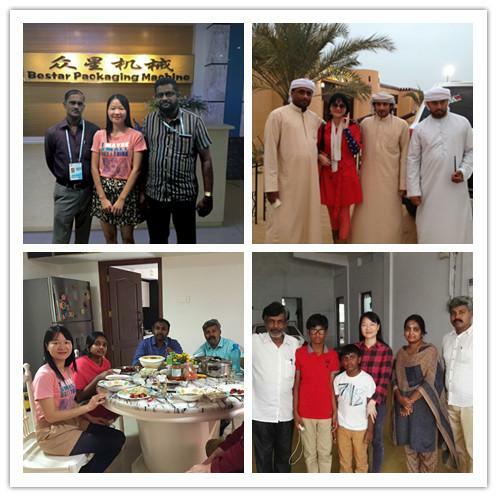 We are looking for exclusive agents in different countries for expanding sales channel , you are warmly welcome to contact us .Wish both of us will have a brilliant future ! BESTAR PACKAGING MACHINE is a comprehensive packer manufacturing company , including six brands, have 8000 square meters factory with the strong sales team , research team , development team and service team. As the professional company in the area of self-developing and manufacturing of packaging machinery, we provide valuable customer : Horizontal pillow packaging machine, flow pack machine, Vertical packaging machine, VFFS packaging machine with multi-head weigher, Liquid vertical packaging machine, granular packaging machine, powder packaging machine, packaging material roll film and food metal detector. 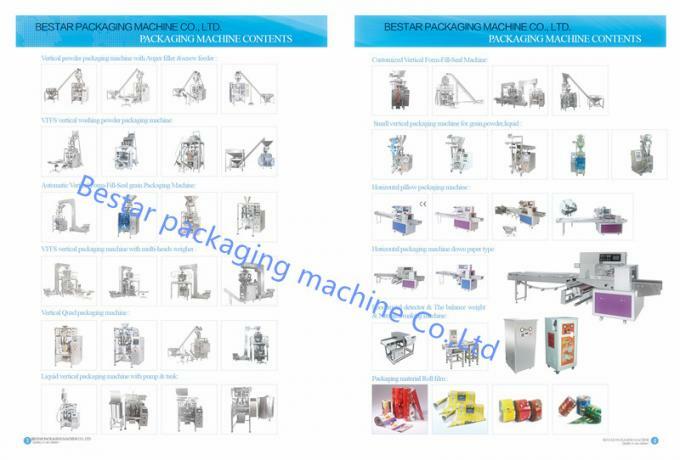 Bestar not only provide customer packaging machine, but supply clients the full set packaging solution ! We have modern workshop, professional R&D team and advanced machining equipments to meet your demands and ensure your need within shortest time . 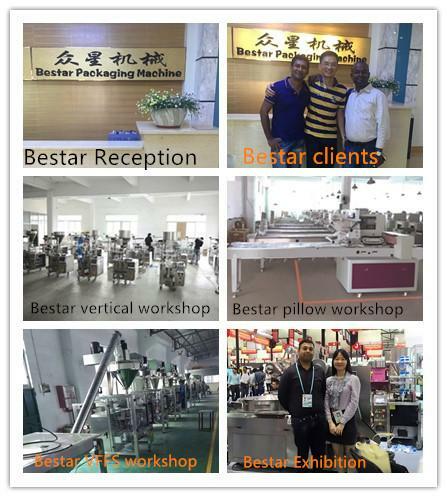 Second : Bestar not only provide customer packaging machine ,but supply you the full set packaging soluction .We have modern workshop,professinal R&D team and advanced machining equiepments to meet your demands and ensure your need within shortest time . We provide optional equipment cusomized. 5) Provide custom each machine detail video how to use the machine and munual ! 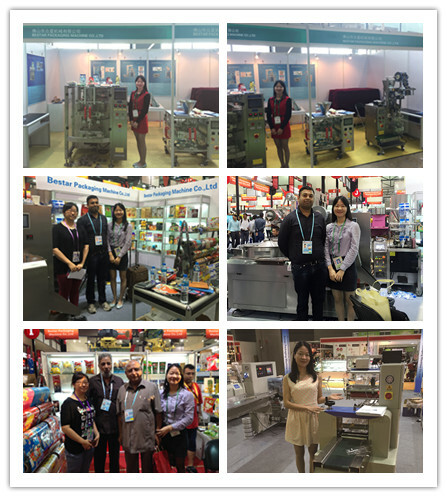 We hope,we could help you not only packaging machine,also other products service you need to win-win ! 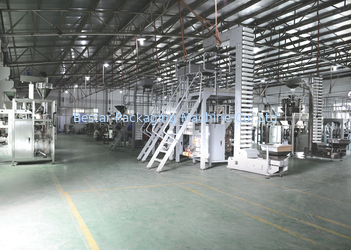 Bestar packaging machine not only provide customer packaging machine, but supply clients the full set packaging solution ! We have modern workshop, professional R&D team and advanced machining equipments to meet your demands and ensure your need within shortest time .